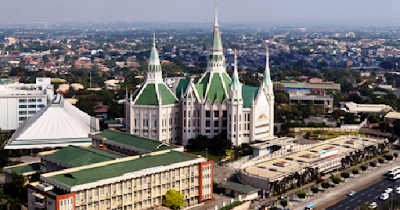 WE FIRMLY BELIEVE that the establishment of the Iglesia Ni Cristo (Church Of Christ) in the Philippines is the fulfillment of the biblical prophecies regarding the re-emergence or re-establishment of the Church Of Christ. Which biblical prophecies referring to the re-establishment of the Church Of Christ? Who is the fulfillment of these biblical prophecies? And why a need to re-establish the Church Of Christ? The Lord Jesus Christ did not only prophesied that the first century Church Of Christ will be persecuted and put to death (“Then YOU will be handed over to be persecuted and put to death, and YOU will be hated by all nations because of Me…”), but He also prophesied that apostasy will take place (“…At that time MANY WILL TURN AWAY FROM THE FAITH…”). One of the meanings of "apostasy" is "turning away from the faith." If the first part of the prophecy proclaimed by the Lord Jesus Christ in Matthew 24:9-11 that the first century Church will be persecuted and put to death did take place, then we are definitely sure that the second part of His prophecy stating that many will turn away from the faith (the first century Church will be apostatized) also did take place. “Now the Spirit speaketh expressly, that in the latter times some SHALL DEPART FROM THE FAITH, giving heed to seducing spirits, and doctrines of devils. When the Church of Christ of the first century departed from the true faith and followed the erroneous teachings (not taught by the Lord Jesus and His apostles, and not written in the Bible) like clerical celibacy and abstaining from meat, she became the Catholic Church. Hence, the organization Christ established in the first century remained, but it did not remained or continued as "Church Of Chrst" but was apostatized and became the "Catholic Church." This is the reason why it's the Catholic Church that continued up to this day. Because the first century Church of Christ was apostatized (from "Church of Christ" it became the "Catholic Church"), the Lord Jesus Christ also made a promise when He was still here on earth that He is going to re-establish the Church Of Christ. This is what is attested in Jesus' prophecy regarding His "other sheep." According to Apostle Peter, the promise is: (1) “unto you”; (2) to your children”; and (3) “to all that are afar off.” These are the three groups of people that compose the Church the Lord Jesus Christ established.The first and second groups were already been called to the Church in the first century, and the third group will still be called by God. “Therefore let all the house of Israel know assuredly, that God hath made the same Jesus, whom ye have crucified, both Lord and Christ. “Peter replied, "Repent and be baptized, every one of you, in the name of Jesus Christ for the forgiveness of your sins. And you will receive the gift of the Holy Spirit. Thus, Christ’s “other sheep” was prophesied by the Bible to emerge in the Far East. 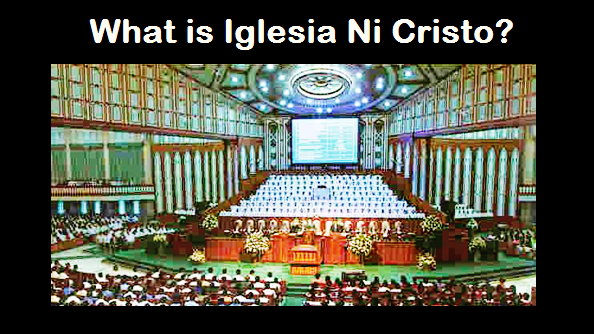 The fulfillment of the biblical prophecy is the emergence of the Iglesia Ni Cristo (Church Of Christ) in the Philippines. Thus, the emergence of the Iglesia Ni Cristo in the Philippines in July 27, 1914 was the fulfillment of the biblical prophecies regarding the emergence of Christ’s “other sheep,” or the re-emergence of the Church Of Christ. "THE FUNDAMENTAL BELIEFS OF THE IGLESIA NI CRISTO"